SAP developed its own Java Virtual Machine (JVM) 1.4.2, named SAP JVM 4 in order to ensure the continued support for SAP Web Application Server 6.40 and SAP NetWeaver 7.0 systems. Starting October 1st 2012, at the latest, the SAP JVM 4 will be the only supported option. For more information see SAP Note 1495160 or contact us for more details. Texperts achieved VBCA (Virtualization of Business Critical Applications) Competency, and is the first partner specializing in SAP. Many customers are now seeking guidance and solutions for virtualizing business critical applications (i.e., SQL, Exchange, Oracle, SAP). It is critical for customers to be able to differentiate the right service provider that will ensure a cost-efficient and quality virtualization of their business critical applications. This is another way of showing SAP customers, who seek to engage with experts for virtualizing their business critical applications, that Texperts is once again at the forefront of this technology. Texperts ensures knowledge and expertise with its professional services team. Together with our experience and customer references, we provide of the highest credentials in the service industry for virtualizing business critical applications(SAP). This disaster recovery solution in the cloud is affordable, simple and DR rehearsals can be done online compared to classical DR solutions. The price point is very attractive and the solution is independent of the storage technology. SGL Group, a leading global manufacturer of carbon-based products, had a corporate requirement to consolidate its implementation of the SAP Supplier Relationship Management (SAP SRM) application in its U.S. operations onto a virtualized platform using VMware vSphere®, as well as migrate the SAP SRM systems to a standardized SAP application stack based on IBM DB2 database software and the Novell SUSE Linux Enterprise Server operating system. Neil credits contacts made through ASUG and Sapphire Now – ASUG Annual Conference with helping to make their virtualization project a success. And at this past year’s conference she was able to confidently field a lot of those same questions she herself had two years ago. “What do we get for it? Really, is it stable?” she said many customers asked. Atlanta, GA - September 8, 2011 - Texperts announced today that it is now an SAP-certified provider of cloud services. Texperts is among the first 10 SAP partners globally to receive SAP certification of its capability to deliver SAP® applications via its cloud delivery services. As a SAP-certified provider of cloud services, Texperts will provide mid-market companies and enterprises that operate globally with a cost-effective, on-demand cloud-based delivery model for mission-critical SAP applications. To achieve this certification from SAP, Texperts' cloud infrastructure, physical and logical security measures, processes, portal, and technical staff went through extensive testing by SAP to validate the operational integration of the cloud-computing platform with supported applications and to help ensure compliance with SAP's requirements for quality, availability and security. 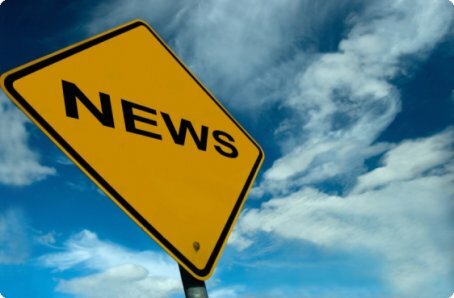 On June 6, 2011 Texperts was featured in a News Release from the VMware website titled "VMware Helps Move Customers Using SAP® Solutions to Virtualized Environments with HP Converged Infrastructure"
Jointly with Solution Exchange we are offering the only SaaS Cloud solution for SAP Data Archiving and Document Management in the market. As an exhibitor at IT2011 conference we shed light into Managing SAP document and data archiving in the Cloud with an expert session presentation to give an idea of what is all involved, how it works and how it creates a value-add business proposition for every SAP client who is planning to implement SAP Data Archiving and/or has the need to integrate SAP Document Management into their business transactions. Please contact us for more details about this service or for a general overview of our cloud services portfolio. SAP has release the new SAP Outsourcing Partner Guide for 2010, listing Texperts as a recommended SAP Partner on page 65. SAP Partner Information Center: Texperts Inc.
Introduction of Texperts' value-added service tools using Virtualization and Cloud technology to achieve zero foot print in the SAP customer's data center and a Pay-as-you-Go flat cost structure. vUpgrade and vBreakFix are Software-as-a-Service (SaaS) offerings through Texperts' private cloud and aim to increase business agility, cost reduction and optimization while facing an SAP upgrade. Texperts is proud to welcome The Baer Group to its family of SAP hosting clients. The Baer Group is a certified SAP System Integrator within the SAP partner ecosystem and signed up for our Integration hosting program. Texperts is proud to announce that as of June 2009, Texperts, Inc. is now one of only 16 SAP Certified Hosting Partners in the United States. 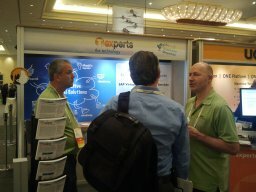 Texperts would like to thank everyone that stopped by our booth at SAP TechEd. We had a great time and look forward to working with each of you in the near future. This month Texperts is featuring one of our Public Sector clients, Fairfax County Water Authority. Texperts is announcing its newest service tool vImplementor addressing SAP System Integrators at this year's SAP TechEd in Phoenix, AZ. It is a revolutionary service tool that encapsulates and preserves an entire SAP implementation cycle and allows it to be deployed to multiple clients. With SAP ending Main Stream support for many of its legacy products, many SAP Clients find themselves forced to upgrade. Texperts is offering an exciting new concept with their Service Tools for SAP Upgrades, vUpgrade and vBreakFix.